At this point in Twisted Sister's career, they were still on their way to the top in the United States. But in the UK, where they had relocated from New York in search of a record deal, they were peaking with their highest-charting LP, You Can't Stop Rock and Roll, which became their first full-length release stateside. This brief set is made up of the title track from that record, as well as album cuts "We're Gonna Make It," "The Kids Are Back," and a cover of the Rolling Stones' "It's Only Rock and Roll (But I Like It)." Although this show predates hits like "I Wanna Rock" and "We're Not Gonna Take It" by about a year, this material set the blueprint for their sound. "There are a lot of people in this world that say rock and roll is dead… They say that heavy metal is dead," laments Dee Snider during the "Band Chatter." Talking about the US Festival, which took place during Memorial Day weekend of that year, he says, "The first day, with new wave music, they had 120,000 people; and the third day, with David Bowie, they had 180,000 people. Whoopee! But on the second day, with Judas Priest, and Ozzy Osbourne, and Van Halen, they had 350,000 people! So the next time someone says to you, 'Rock and roll is dead,' you tell 'em, "It's only rock and roll, but I like it!" This rabble-rousing speech is the introduction to their lengthy (13-plus minute) cover of the Rolling Stones' "It's Only Rock and Roll (But I Like It)," which concludes the set. 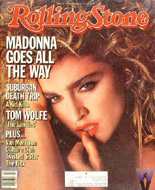 The hit had been released nine years prior on the Rolling Stones' hit LP It's Only Rock 'n' Roll. And while the Twisted Sister version is certainly heavier, it may have been the bubble-bath and heavy eye makeup promo video for the Stones song that initially caught the attention of the glam-metal band in the first place. During this number you can hear Dee Snider calling for rowdiness from all of his fans, or SMFs (Sick Mother Fuckers, shortened from the unwieldy acronym SMFFOTS, or Sick Motherfucking Friends of Twisted Sister). 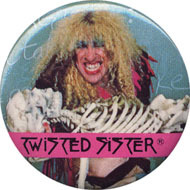 Whereas Twisted Sister's megahits were boosted by campy videos that were aired on MTV (and in the case of "Be Cruel to Your School," which precipitated their fall, banned from the channel), this show is the live, unadulterated experience that gained them a following with metalheads in the first place.